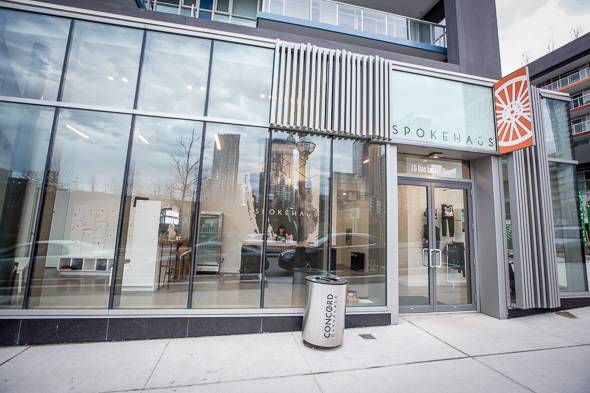 Spokehaus is a high-intensity, low-impact full body workout located at Cityplace modeled after SoulCycle south of the border. 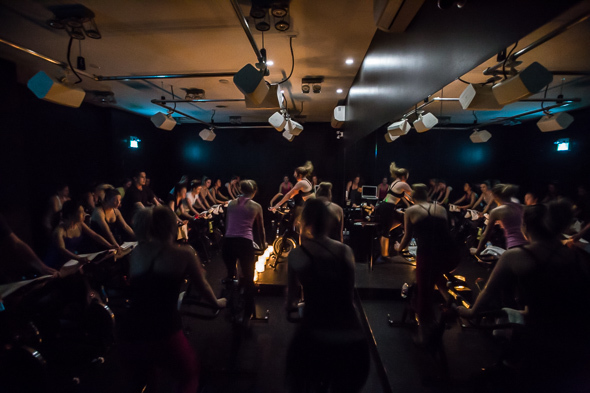 There are stationary bikes but this isn't your traditional spin class. 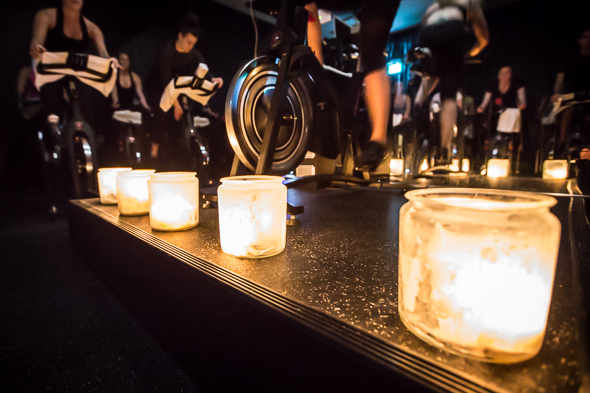 Instead, Spokehaus is all about cycling to high energy music in a candlelit room where the ride is distinctly customized to the rhythm of a playlist. 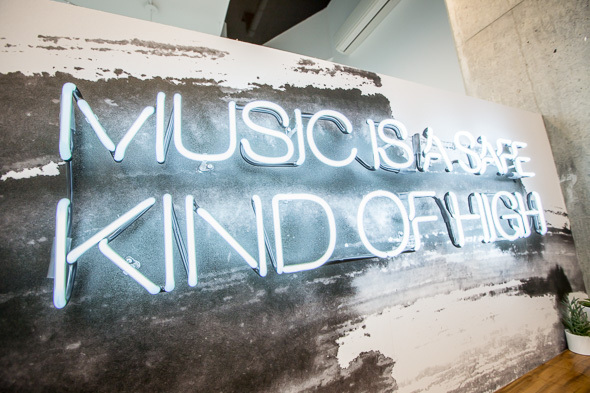 And that playlist ensures the entire class is moving to the same beat. It's an undeniable energy that feels oddly satisfying. I'm not a spinner. I hate spinning. So, in the first five minutes of starting the session (sessions are only 45 minutes), I kept thinking, "how am I going to get through this?" This is the usual sentiment for newcomers, says owner Christine Tessaro. But that sentiment quickly disappeared as the music started blasting and I was instantly absorbed in the workout. The trainers make the workout fun and they know their stuff. I didn't even want to sit on my seat - not that I could have. Be prepared to be mostly out of your seat for the session. 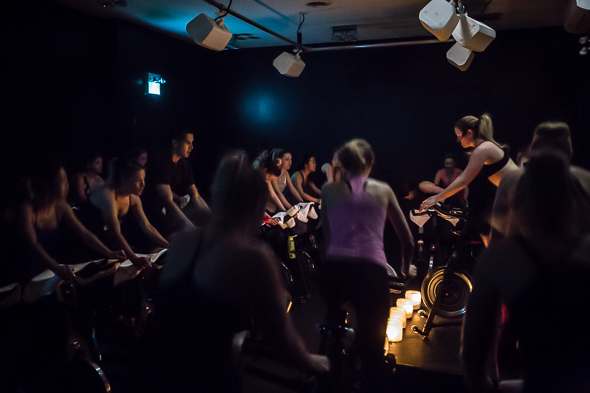 Spokehaus has eight instructors, including Tessaro, with a variety of backgrounds from traditional spin to big box gyms. Each trainer brings an element of individualized choreography, but within the same overall template of a Spokehaus workout. The facilities are beautiful. There's only one spinning room which is located behind the reception desk. 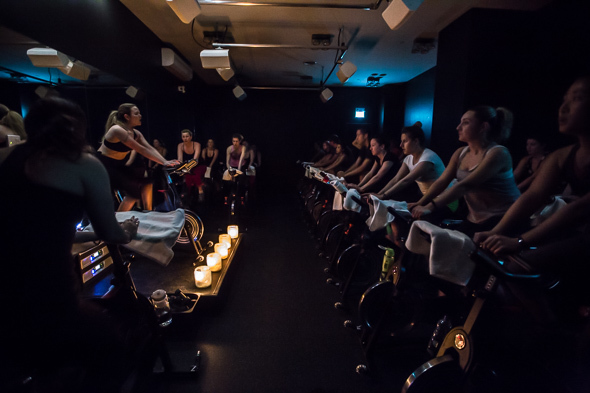 By the end of the 45-minutes of a blissful session, expect the room to be steamy, your hands wet from the sweat and your face flushed. 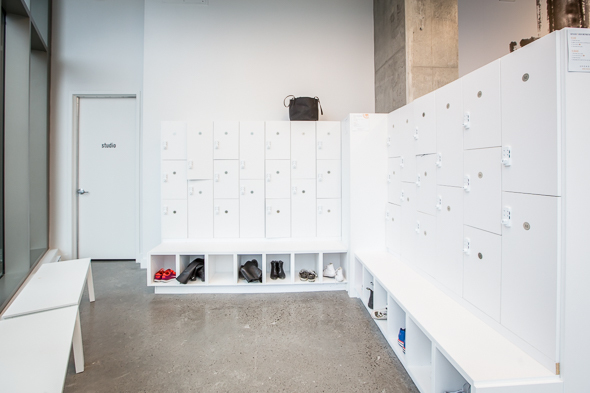 The change and locker rooms are bright and clean, and equipped with Malin+Goetz toiletries. The studio is also equipped with Greenhouse Juice kombucha for a post-workout refresher. 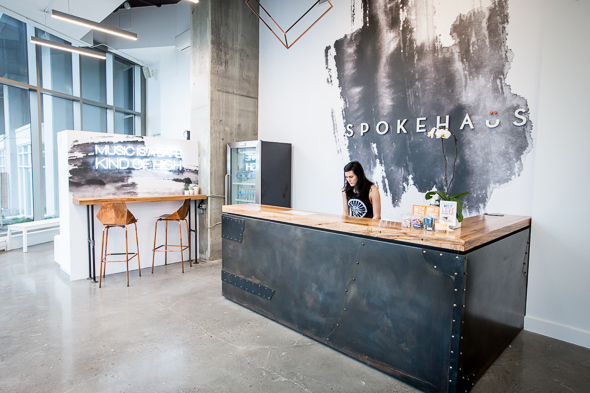 Spokehaus offers early morning workouts starting at 7 a.m. with convenient after-work times at 5:30 until 7:30 pm. Weekends offer three morning classes at 9 a.m., 10 a.m. and 11 a.m., which may increase to afternoon workouts depending on the need. The online booking system is extremely easy. You have your online profile, you reserve your bike, and you're good to go. The best part? The wet eucalyptus-infused towels at the end when it's necessary to drape it over your head and let the towel cool you down - if you're not flushed, you've missed a beat. The downside? The experience and fun of Spokehaus isn't cheap. Drop-in classes are $28 each, five rides is $130 and 20 rides are $440.